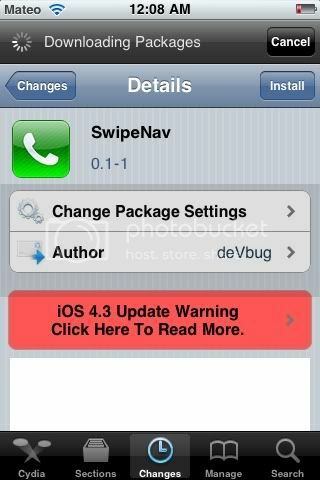 New tweak in Cydia, SwipeNav, You can swiper in All UInavigation for going to the previous page. Just swipe left and right. There are no new apps installed or a need for configure. Free on Cydia. Search for it.